You meet someone who is obviously better at something than you are. What do you feel? Do you admire the person? Do you feel envy? What are the effects of these different emotions? Below you can first read about social comparison theory, which has something useful to say about these phenomena. Then, I mention new research by Niels van de Ven about the effects of these different emotions. Social comparison theory (Festinger, 1954; Wills, 1981) says that we evaluate ourselves by comparing ourselves with other people. How we compare ourselves with other people influences both how we think and feel about ourselves and how we feel and how we behave and relate to those people. The way in which we compare ourselves can, under some circumstances, affect our self-esteem. For example, we can, consciously or unconsciously, regulate our self-esteem by strategically comparing ourselves with others. If we compare ourselves with someone who does worse than us, we can start to feel a little better about ourselves. When we are confronted with someone who is much better at something we this may put our self-esteem under pressure. If that happens we may apply several strategies to protect our self-esteem: (1) we can try to outdo the other person, in an honest or dishonest way, (2) we can try to avoid the other person, (3) we can denigrate the other person's capabilities or achievements. A new study by Van de Ven (2015) specifically explores what can happen when we are confronted with someone who is better than us. Van de Ven explains that people can experience two different emotions: envy or admiration. The describes two types of envy. With the first type, malicious envy, we feel frustrated about the fact that the other person is better and we would like to pull the other person down. With the second type, the benign type, we also feel frustration but also the motivation to get better ourselves. Some authors doubt whether this second type can be called envy and suggest that it is actually a form of admiration. What the effect of real administration is, is not clear. Previous research suggests that admiration leads to a stronger connection with the other person. But there are some contradictory findings about whether admiration leads to the motivation to improve. Van de Ven studied the effects of envy and admiration in two sample (total N=345). He found that both benign envy and admiration led to the motivation to improve oneself. 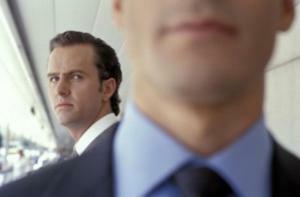 Malicious envy, however, led to the motivation to pull the other person down. The distinction between benign and malicious envy thus seems to be important. When malicious envy happens cooperation will be hard. When we are confronted with someone who is better, it will lead to the motivation to pull the other person down which will harm the relationship and impede progress. That is why it is important how these different types of emotional reactions are formed. One important explanation, I think, may be mindset. If we have a fixed minset we do not believe that our current capabilities can be improved much. There is nothing left for us to do than to feel frustration and envy (and perhaps the malicious kind). But if we have a growth mindset it will become easier for us to admire the other person and to be inspired to become better ourselves. Complexity and jealously, these two facts are very dangerous for a human being. It started comparing with others and ultimately reduce our confidence. It is quite natural to a human being that, if they meet someone more talented and qualified from them, then they start jealous of that particular person. This negative attitude should be removed from our lives, otherwise, we are facing different types of negative remarks in our life and career. Thanks for highlighting such important points. What do you choose, running or walking? How does grading affect motivation?